We are pleased to announce that Virginia Lovett has been appointed as MTC’s new Executive Director and will take up the role in January 2013. Virginia said she is thrilled to be joining the Company. ‘Under the direction of Brett Sheehy and the new creative team, the opportunity to build on MTC’s success, engage new audiences, create new experiences and re-imagine theatre in Melbourne, is very exciting,’ Virginia said. Virginia brings a wealth of experience to MTC and is passionately committed to the Australian arts and cultural sector. Most recently she has been the General Manager of the Melbourne International Comedy Festival, but Virginia has worked in a range of different organisations including Zoos Victoria, Sydney’s Powerhouse Museum, the Art Gallery of New South Wales and Sydney Theatre Company. Virginia is currently Chair of the Arena Theatre Company and Deputy Chair of Force Majeure. Our Artistic Director Brett Sheehy is delighted with Virginia’s appointment. 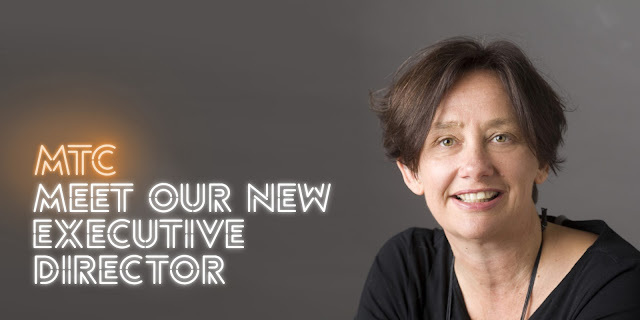 ‘All this, coupled with her twenty years’ experience in the theatre, visual arts, festival, political and media arenas, makes her an ideal choice to manage the extensive opportunities facing MTC in the coming decade,’ Brett said. We hope you will join us in welcoming Virginia to MTC.